Responsabilité et Environnement - N° 89 - January 2018 - ZEN 2050: Toward a Europe with Zero emissions (net) by 2050? 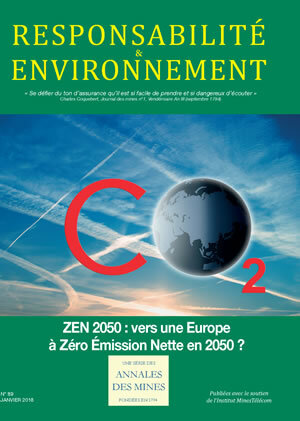 N° 89 - January 2018 - ZEN 2050: Toward a Europe with Zero emissions (net) by 2050? Climate & Trade: Can They Be Mutually Beneficial?